Published on: December 29, 2010 by Faheem P.
DDoS/DoS cannot be completely prevented by any of the service provides, but certain measures could help us to reduce the impact of attack. The companies must develop and produce certain strict policies and rules to ensure the best practices are allowed. Strict server security policies must be used and should be always updated. Having a AUP is a key tool to remove the abusive user from the network/system. Having a separate team to handle abusive incidents is a good practice to whom the incidents could be notified and alerted. Operating system lockdown and removal of any unnecessary processes,services and software. This should be done via scripts or by checklists preferably developed using industry best practices. Review of system protocols to ensure communication paths are properly authenticated and if necessary encrypted. Scanning of the systems to confirm and mitigate, if necessary, any server security risks found. If software source code is available, security source code reviews should be performed to eliminate buffer overflows and other vulnerabilities. Here are some steps by which we could defend the impact of DDOS to a certain extent. Install IDS on your gateway/hosts to alert you when someone tries to sniff In. In the above configuration listed , a rule called “Rule” is set to check permissions (p), inode (i), user (u), group (g), number of links (n), size (s), and md5 checksum (md5). This rules are applied to all files in /bin, /sbin, /var, and /usr/local/apache/conf because they should rarely if ever change. Files in /etc are checked for changes in only permissions, inode, user, and group because their size may change, but other things shouldn’t. Files and directories in /var/spool and /var/log are not checked because those are folders where maximum updation takes place. After configuring AIDE should be initiated with all these rules. Conduct regular Audits on each host on the network to find installation of DDOS tools / Vulnerable applications. Use tools like RKDET(vancouver-webpages.com/rkdet),RKHUNTER(www.rootkit.nl) and CHKROOTKIT(www.chkrootkit.org) to find if any rootkit has been already installed and to locate the effected binaries in the machine, if any. * Kernel Upgrades and vulnerabilities. * Check for any Trojans. * Check for any hidden processes. * Use audittools to check system. * Check binaries and RPMS. * Check for open email relays. * Check for malicious cron entries. * Check /dev /tmp /var directories. * Check whether backups are maintained. * Check for unwanted users, groups, etc. on the system. * Check for and disable any unneeded services. * Check for the suid scripts and nouser scripts. * Check valid scripts in /tmp. * Use intrusion detection tools. * Check the system performance. * Check memory performance (run memtest). Enforce and Implement Security Measures on all hosts in the network. Machines new or old should only be allowed to run on your network, if your Security Admin or DSE (Dedicated Server Security Expert) member approves it with status “OK-to go live” after auditing the box. All Host in the network should be checked on a regular basis by your DSE team to make sure that all hosts are uptodate and can fight any attacks. Use Open Source Tools like NESSUS(www.nessus.org) ,NMAP(www.insecure.org/nmap),SAINT( www.saintcorporation.com/products/saint_engine.html),SARA (www-arc.com/sara/sara.html)for auditing a network to find its vulnerabilities. Create a DSE (Dedicated Server Security Expert ) Team for your company. Collect your networks and hosts data . Analysis them and study them to see from where and what kind of attacks are coming into the network. This step will help us to understand what kind of attacks we are facing and will help us to strengthen the preventive measures. Let me tell you this move is worth the money you spend,for sure. Install Mod_dosevasive to your apache. and add it in the mod_security.conf file. 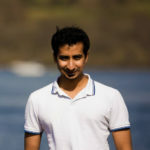 Faheem enjoys learning new technologies and loves to implement cutting edge solutions. He is one of the most active member in various technical forums and is a familiar face in various brain storming sessions. He takes great pride in being an explorer and the best thing you can be sure about in his room is the backpack! !